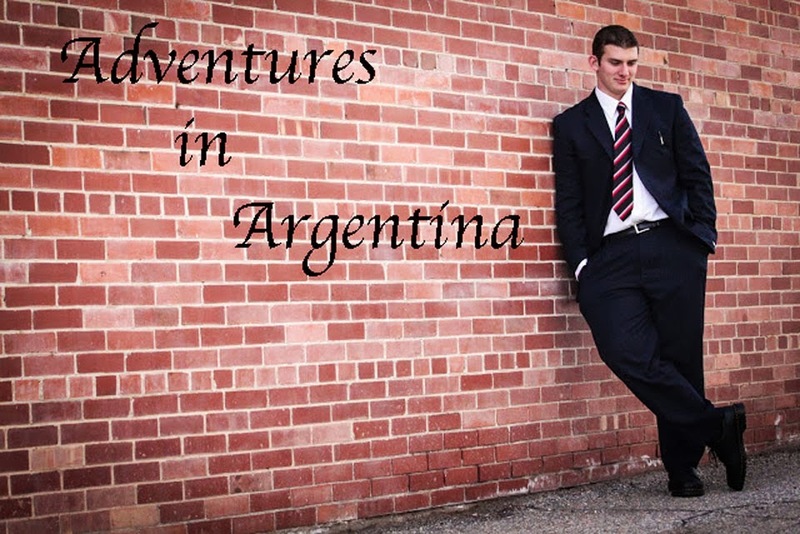 Adventures in Argentina : What a Weird Week! Como estan? Que bueno! Those are the most used phrases that I use out here. I have a lot of stories and not a lot of time so here you go. Last Monday, my companion and I were walking to our appointment which was 40 minutes away and we were already late. 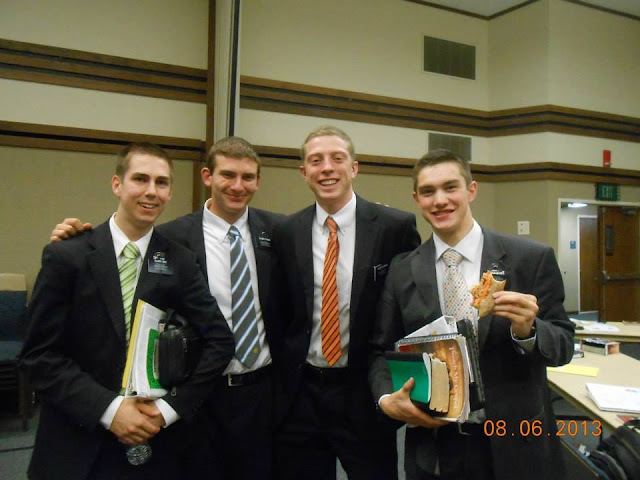 It's hard to be on time when the other missionaries that you have to share stuff with, don't like to be on time for stuff. So as we were walking across a parking lot, this guy stops us and says, "Hey Elders! Do you need a ride somewhere?" Not asking if he was member, but we really needed a ride we said sure. So, before we got in the truck, he said he knows a lot of Mormons that are gay and asked if that was okay. We said it was fine as long as they kept the standards of the church. So we get in his car and as we pull out of this parking lot, he straight up says, "I'm gay" My companion and I just say, "Uhhh okay..." He responded by saying don't worry I don't recruit anybody like most gay people do. And so he asks us what the church's views were on gay stuff. We told him we believe that a man and a woman should be the traditional marriage because they have the power of procreation. He said gays can too but they have to adopt. (Hmmm...I wonder how their adopted kid came to Earth in the first place.) And we said we don't support it really. He said that was blasphemy because everyone has thought about it before. He also called us very good looking men and that we would do well in a gay bar. Anyways, so when we got to our stop he asked us, "You know what keeps me young and going?" My companion responded, "What?" He then says, "Young kids like you and scotch." 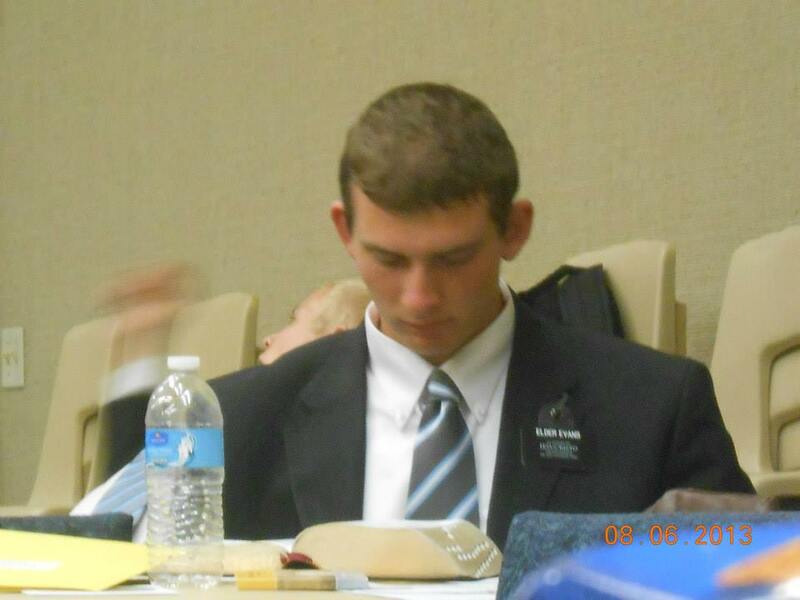 Elder Zemcik told me to get out right now and that we had to go to our appointment. Totally freaked me out! But, on the bright side, we met an awesome couple named Myra and Enrique Sierra. They are both from Mexico and they love Jesus. Pretty common thing in the South if you didn't know that already. But yeah, they are getting baptized September 7! Also, this week we met a guy named Mario. He is our first investigator that is actually progressing! He read 3 Nephi 9 when he was supposed to read 11 and he got a confirmation that it was true. We invited him to be baptized and he said he wants to go to church and stuff before he chooses. Nice guy! Solid dude. And another thing! As we were walking home from our appointment, a guy stopped us on the side of the road and asked us to come talk to him. So we walk over and this guy is from Sandy, Utah. His name is Thomas Ball. He is a semi-pro skateboarder. And he is super close to getting baptized. So, once he told us a little bit about him, he said he crashed on his board today and went to CVS Pharmacy to get some medicine. As he got medicine, he bought a pack of cigarettes. He said as he started to light it, he saw us and then threw away the cigarette. So, we started talking to him a little more and he asked us if we needed a ride to our apartment. We said sure of course. 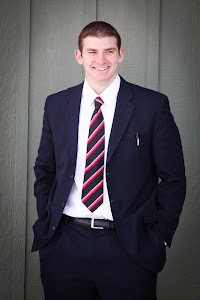 And once we got to our apartment, we asked him if it would help if he got a priesthood blessing. He said that was kinda the reason why he pulled us over, so that we could help him somehow. So I got to do the annointing while Elder Zemcik did the sealing. It was a really sweet experience! We have tried to contact him so we can figure out a plan for him to quit smoking, but he hasn't really talked to us. So yeah, that is basically my week right there. Lots of stuff happened. So far, we have 5 people set on date to be baptized next month! Nice! But in this mission, it's not good enough. Which is very frustrating. Elder Zemcik and I don't have a car and we get criticized because we don't have the same numbers as the rest of the missionaries. But I have noticed that our lessons and everything have so much more quality. These people that we teach, really know that we love them and want them to have eternal life and live with their families forever. Thanks so much for the birthday wishes and everything! I almost had a birthday where no one sang to me, but then at 10:28 at night, the zone leaders called and sang me happy birthday. It was really bad, but it was great to hear someone sing it. Love you all! I hope to hear from all of you! My address is on the blog, hopefully. Happy Birthday to Keli'i and Jared again!